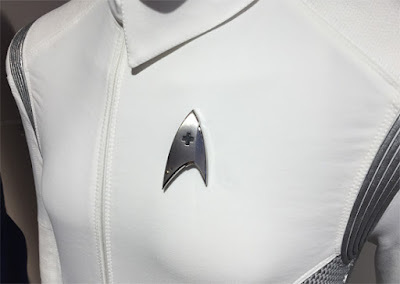 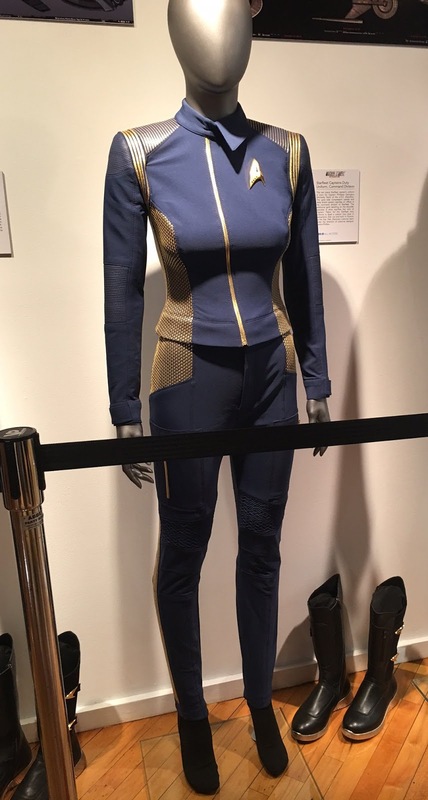 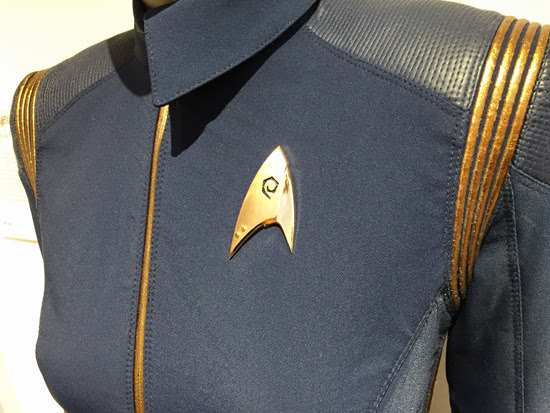 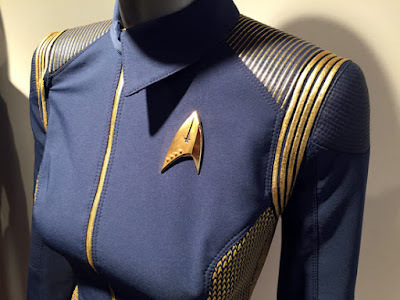 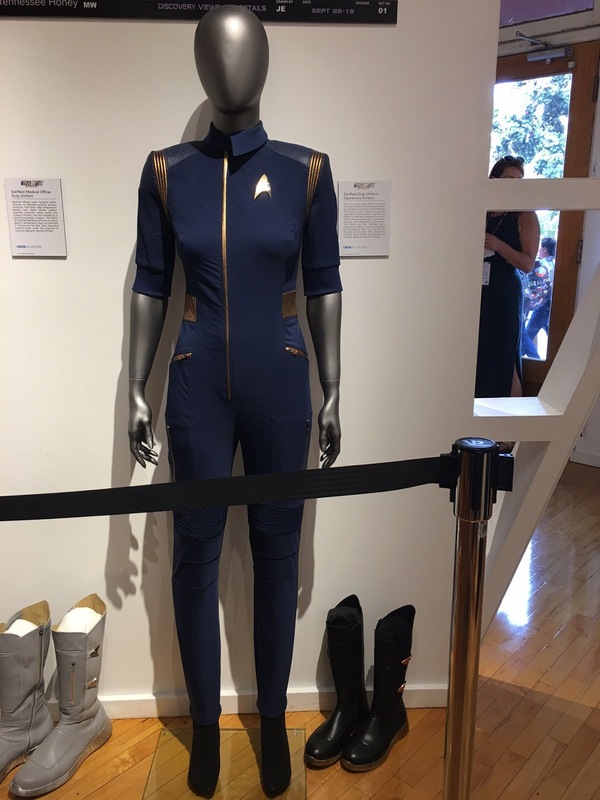 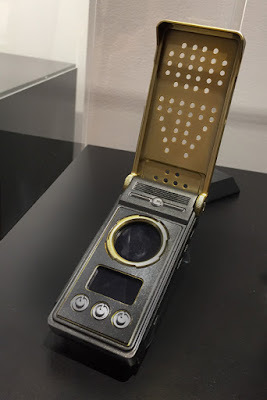 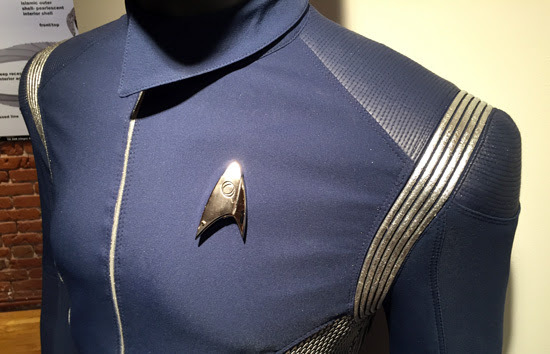 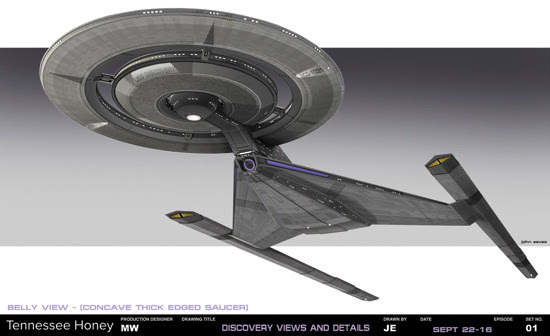 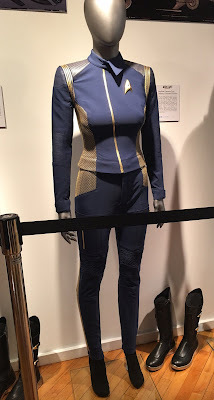 The Trek Collective: Loads of Discovery concept art, costumes, and props to ogle! 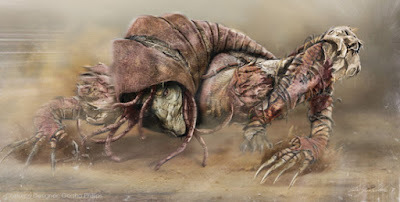 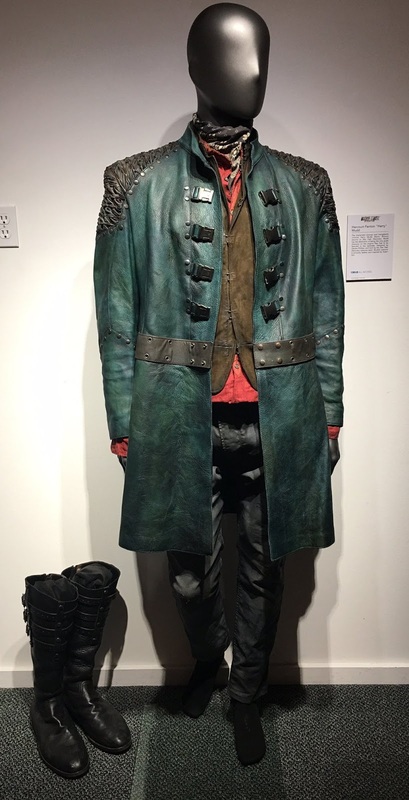 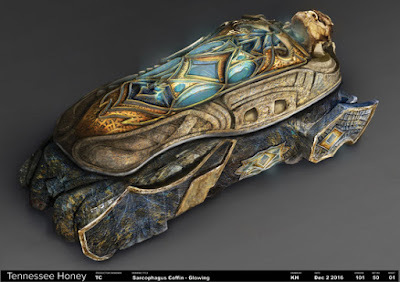 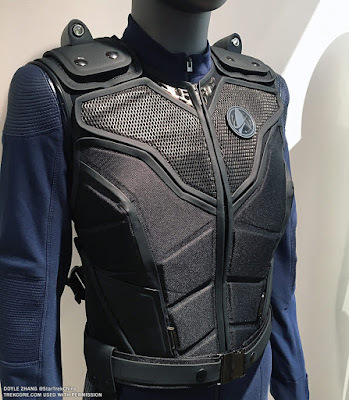 Loads of Discovery concept art, costumes, and props to ogle! 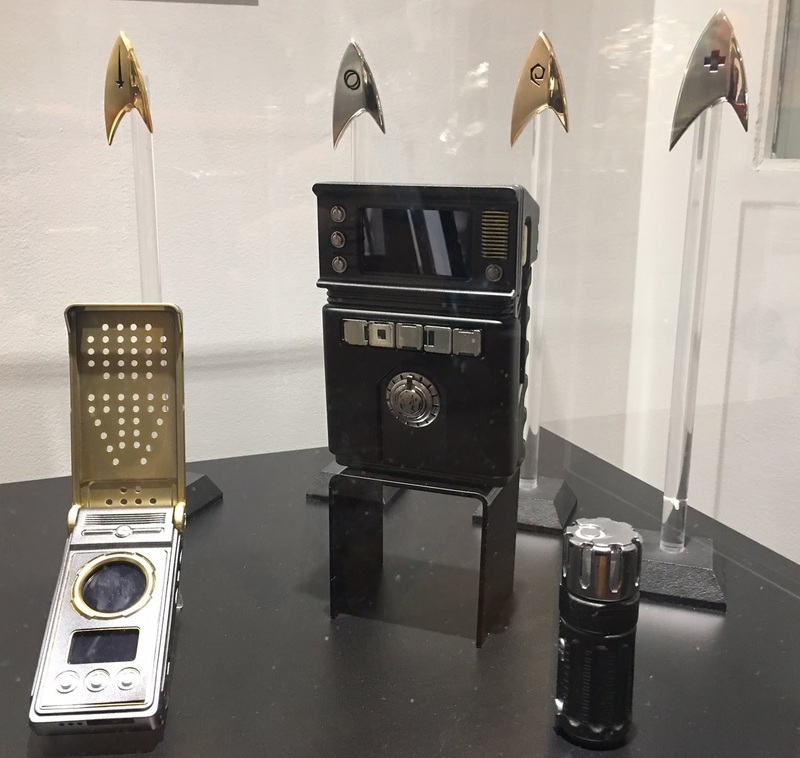 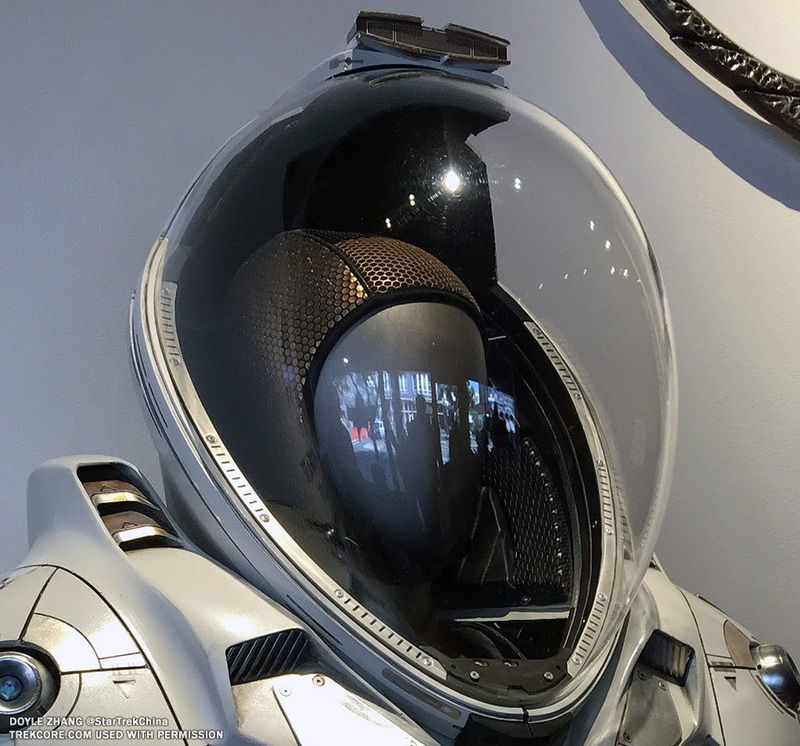 There's been lots of Discovery goodness coming out of the San Diego Comic Con, but the richest vein is surely the Discovery exhibition, which features oodles of artwork, costumes, and props, given us our best look yet at them all! 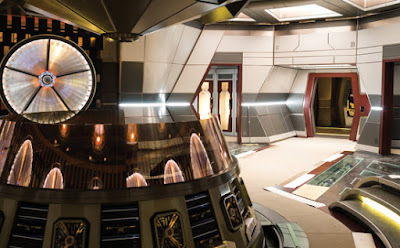 There's lots to look at, so continue below for a look at everything that could be seen (images via StarTrek.com, /Film, io9, TrekMovie, and TrekCore). 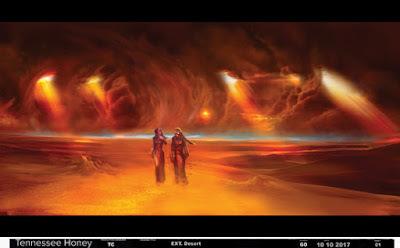 And a desert scene, a little more colourful than the desert shots we've so far seen in the trailer. 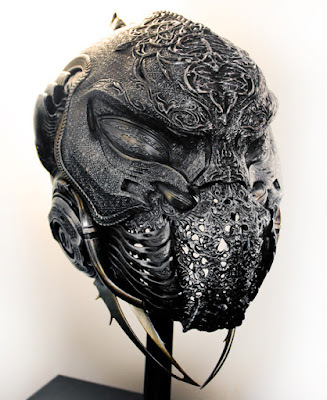 Built by Glenn Hetrick and Neville Page's Alchemy Studios in Los Angeles, this is an example of a high-ranking officer's personalized helmet and collar. 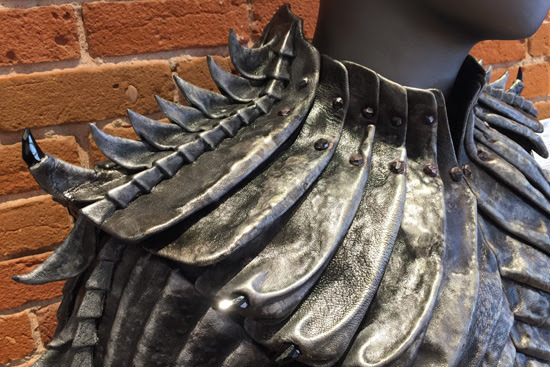 Each warrior's battle armor bears a unique signature look as a matter of honor. The full body armor suit and helmet can fully retract and extend from the collar itself by combining physical elements and VFX compositing in post-production. 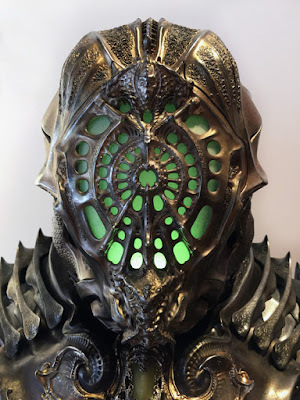 This similar helmet is described as a "Periscopic Klingon Bridge Officer Helmet"
Built by Alchemy Studios, the periscopic helment is worn by Klingon pilots to provide a Heads Up Display of weapons systems, three-dimensional star system charts and other critical tactical information essential to controlling the ship’s navigational and weapons systems. 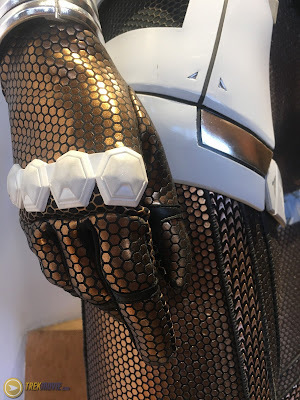 It was entirely 3D printed and painted using complex airbrush techniques that employ a combination of proprietary automotive paints, acrylics, and weathering layers. T’Kuvma (Chris Obi) seeks to unite the 24 great Klingon houses to halt the encroachment of others. 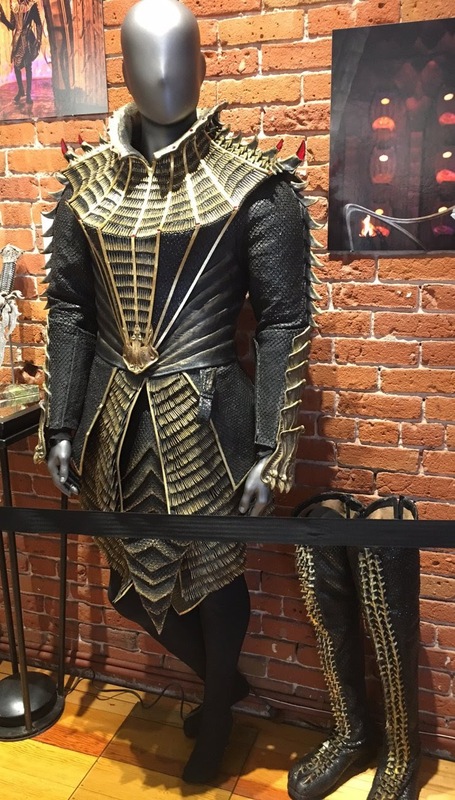 His elaborate clothing honors ancient Klingon ways and the path of honor set forth by Kahless the Unforgettable. 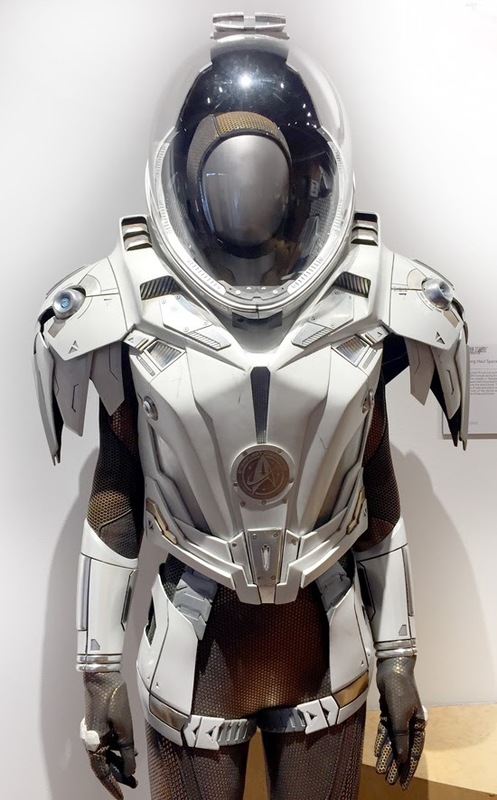 Designed by Gersha Philips and Suttirat Anne Larlarb, this ornate costume is comprised of two prime layers: a tunic and a chest plate. 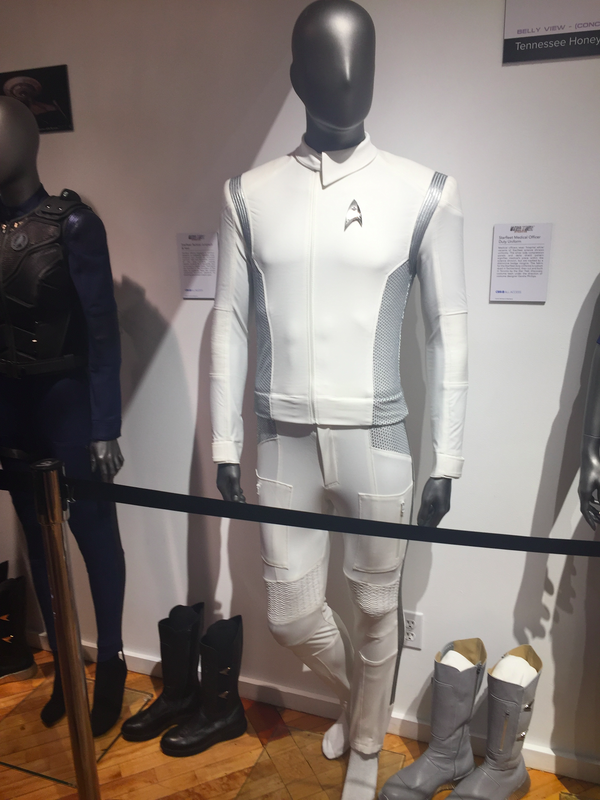 The tunic is made up of three types of leather and molded with task and hydraulic tubing to form panels into a skirt. The intricate chest plate is made up of 3D printed beads with a magnetic back closure that creates a seamless appearance, claw-like Swarovski crystals, and vintage lace around the collar. 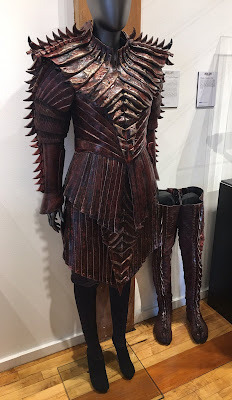 The other Klingon costumes are no less impressive however, and took a lot to create! 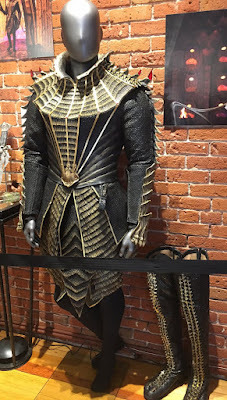 This House of T’Kuvma female Klingon uniform is representation of the style worn by the members and follows of the House. 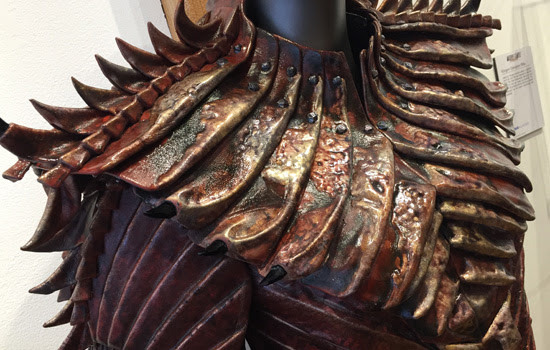 The warrior uniforms are painstakingly built piece-by-piece with hand-pressed leathers that are individually stained, painted, and molded for texture. 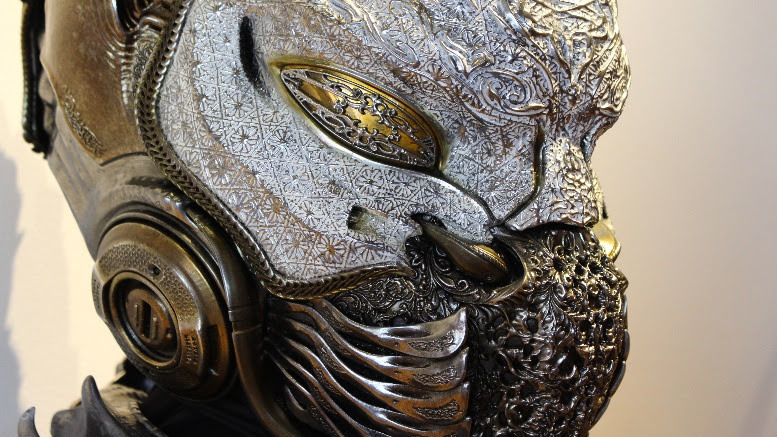 This ornate costume is designed by Gersha Phillips and Suttirat Anne Larlarb and takes a team of 10 costumers an estimated 110 hours to create. 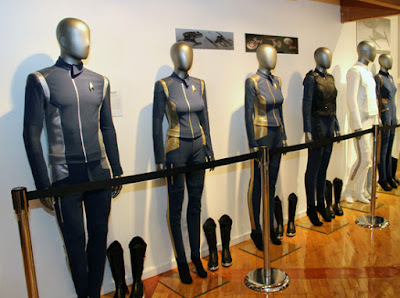 This House of T’Kuvma gray Klingon uniform is representative of this style worn by members and follows of the House. 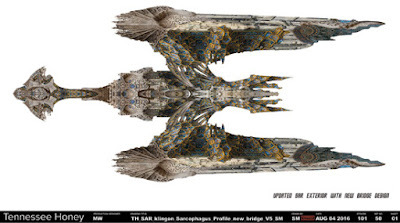 These more ancient Klingon designs pay tribute to Klingon ancestors and the path of honor walked by Kahless the Unforgettable. 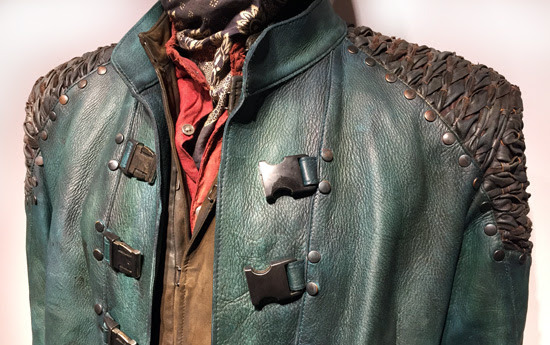 The warrior uniforms are painstakingly built piece-by-piece with hand-pressed leathers that are individually stained, painted and molded for texture. This ornate costume is designed by Gersha Phillips and Suttirat Anne Larlarb and takes a team of 10 costumers an estimated 110 hours to create. Built by Glenn Hetrick and Neville Page’s Alchemy Studios, this sophisticated suit serves as both an EV space suit and battle armor for Klingon warriors. 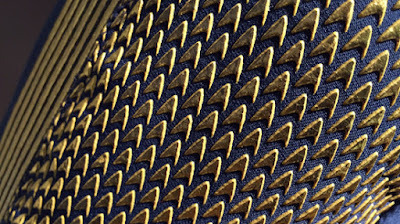 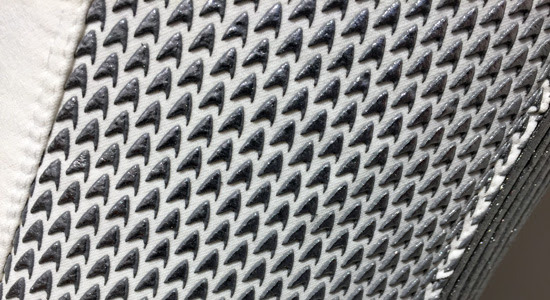 Although similar to Klingon armor, this version is worn only by a warrior chosen through a sacred ritual to serve as Torchbearer, enabling him to sound The Call for all the houses to unite by activating a ceremonial obelisk. 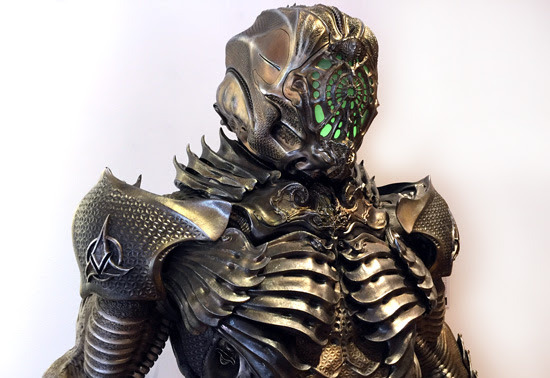 Cutting edge 3D printing techniques were employed in the creation of the suits and Alchemy worked with 3D Systems and used 3D printing techniques to create a hundred individual components from Neville Page’s digital designs to achieve the look. 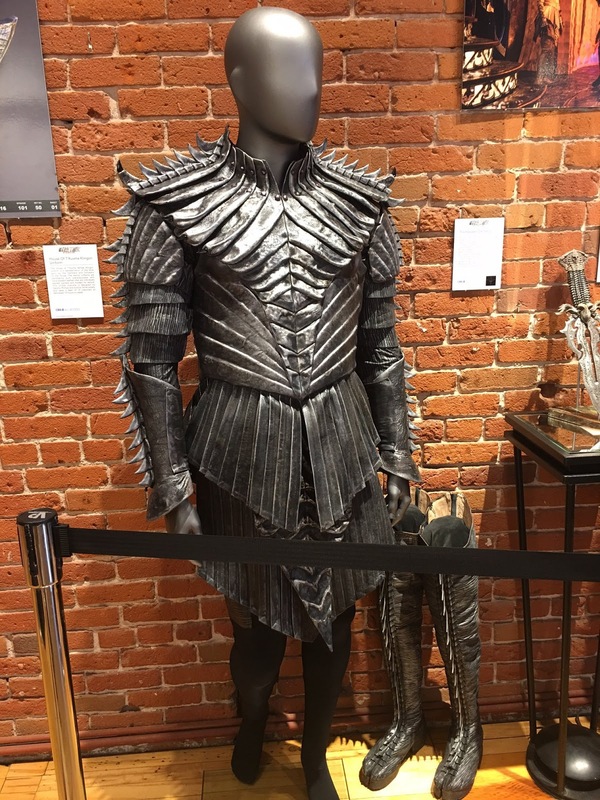 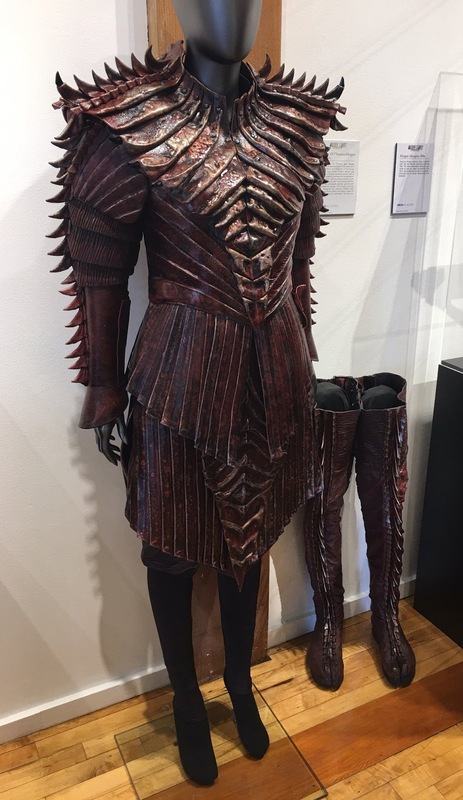 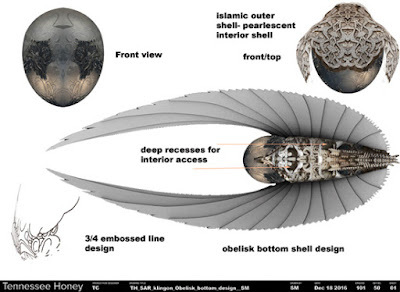 Built by Alchemy Studios, the ceremonial blades location on the boots of the Torchbearer’s suit are ornate, reimagined versions of the classic and beloved Klingon weapons from Star Trek: The Next Generation and other Star Trek films and shows. 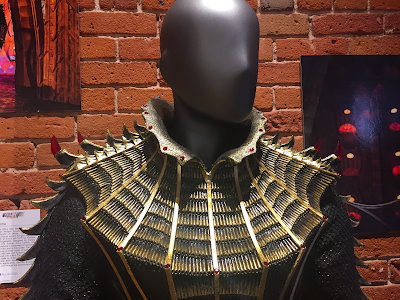 The daggers, helmets, and full suits have embraced and augmented the cultural notes from Star Trek: The Original Series Klingons, employing a mixture of Middle Eastern, Mongolian, and Byzantine influences to achieve the Klingon aesthetic. 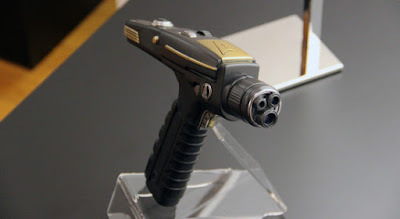 A ceremonial bladed weapon of Klingon warriors that is used in close quarters combat. 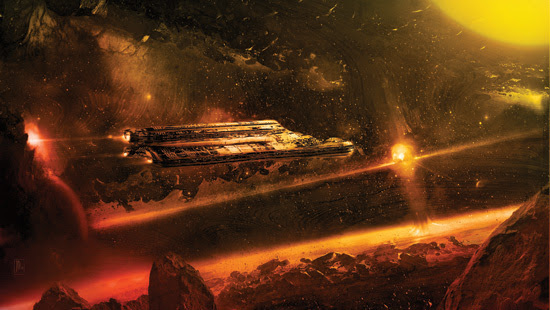 Traditional mek’leths are often individualized to both the Klingon warrior and their house. This mek’leth was made in Toronto from hand sculpted high-density foam. 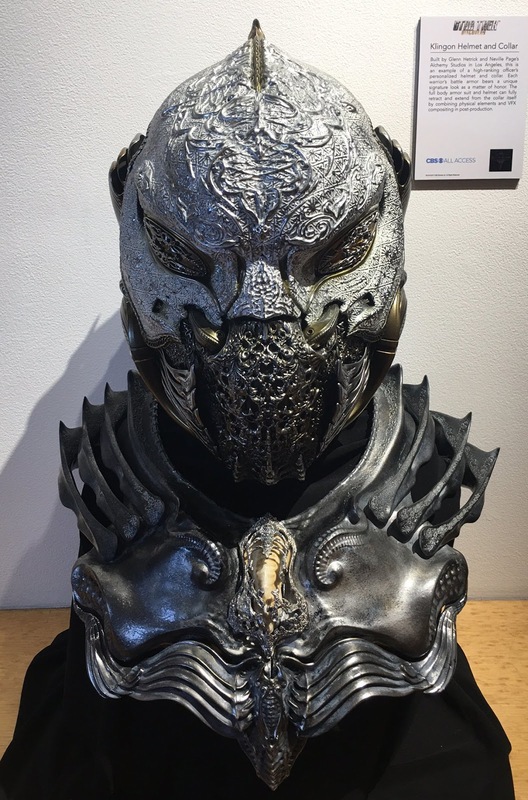 That sculpt was then turned into a 3D model and milled out of aluminum. The surface of the blade is hand carved from a poured resin and the handle is also hand carved from foam and then cast in rubber. 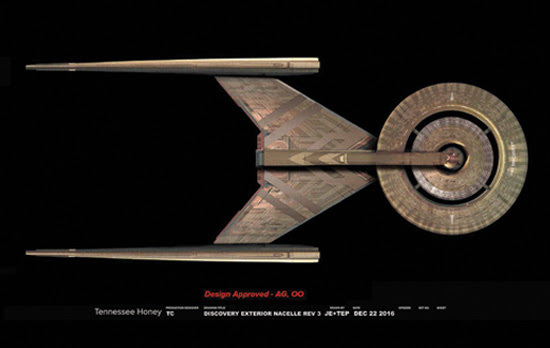 The preferred weapon of the Klingon warrior, the bat’leth was made in Toronto. It was originally hand sculpted out of a high-density foam. The sculpt was then turned into a 3D model and milled out of aluminum. 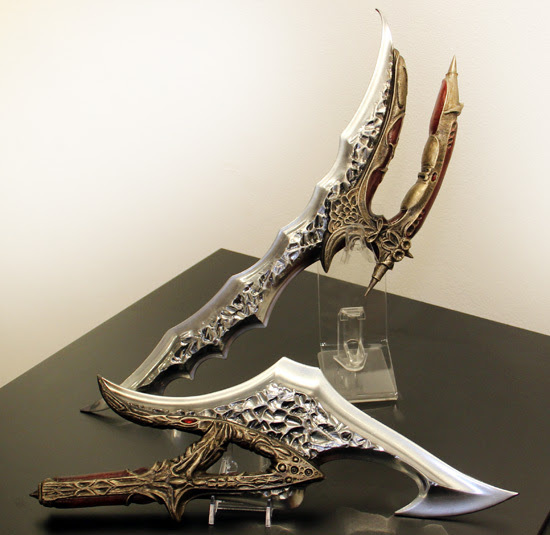 The surface of the blade is hand carved from a poured resin and the handle is also hand carved from foam and then cast in rubber. 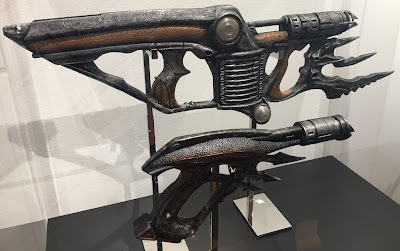 Finally from the armoury, a couple of Klingon disruptors, taking a a completely new direction for this sort of weapon, and adding in a load of blades of both designs! Used by Klingon warriors when a bat’leth won’t do, the rifle was inspired by the Star Trek: The Next Generation disruptor and made to look as nasty as possible. 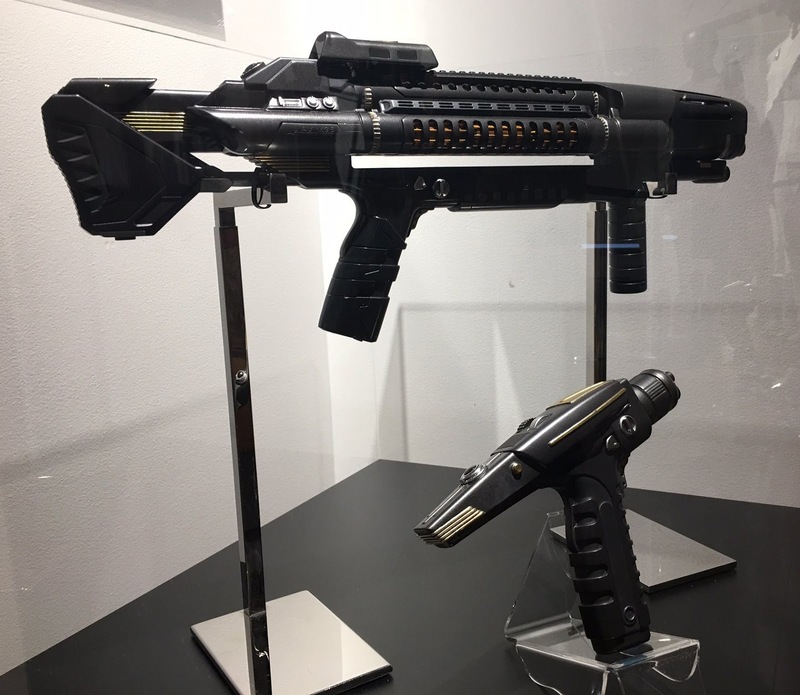 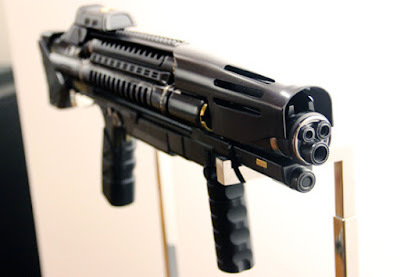 The rifle is 3D printed with an aluminum center hollowed out to house electronics and batteries. 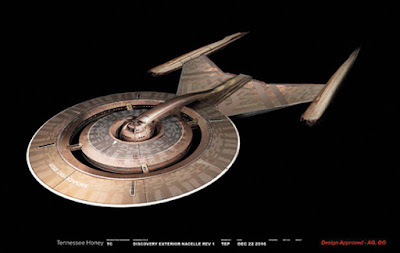 The father of Spock, husband to Amanda Grayson, and mentor to Michael Burnham, Ambassador Sarek (James Frain) is a Vulcan diplomat held in extremely high esteem. 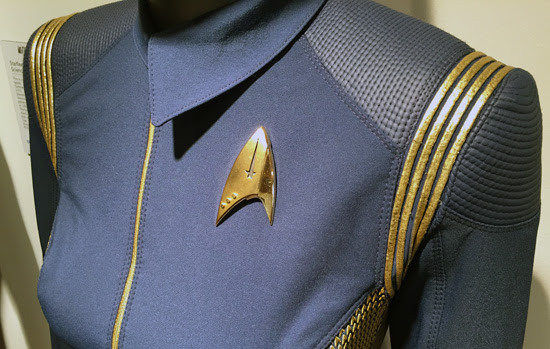 His traditional robes reflect the Vulcan culture and its devotion to a life of pure logic, serious intellectual pursuits and spiritual contemplation. 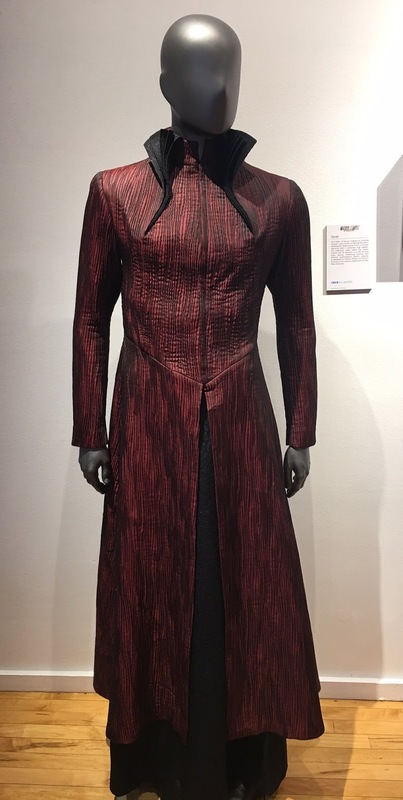 Sarek’s costume is designed by Gersha Phillips and built in Toronto by the costume department. 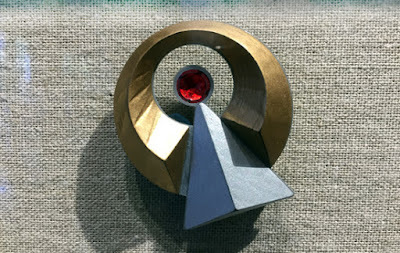 The IDIC (Infinite Diversity in Infinite Combinations) pendant is worn by Vulcan Science Academy graduates as well as professors and high scholars. The pendant was 3D printed and hand painted in Toronto. 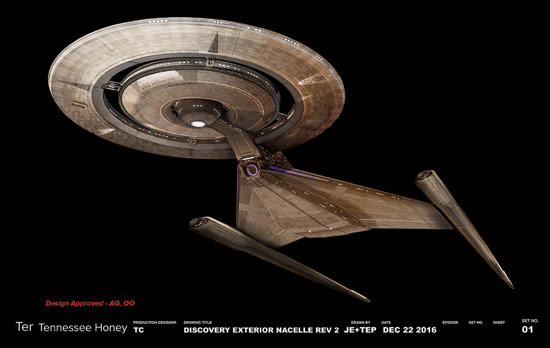 This charismatic conman and intergalactic criminal Harry Mudd (Rainn Wilson) returns to Star Trek: Discovery. Mudd has the distinction of being the only guest character on the original Star Trek to be featured in two episodes. Designed by Gersha Philips and built by the costume team, Mudd’s costume is primarily leather and inspired by Adam Ant. And then we have the regular uniforms, with distinctive new ways to tell apart ranks and rolls on the ship. 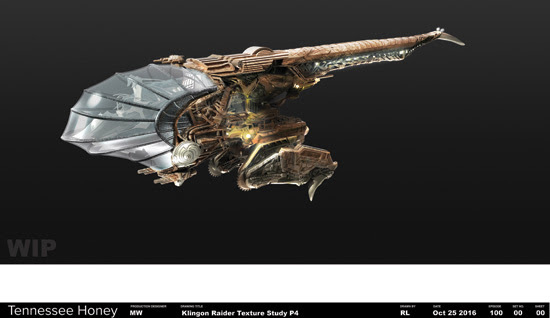 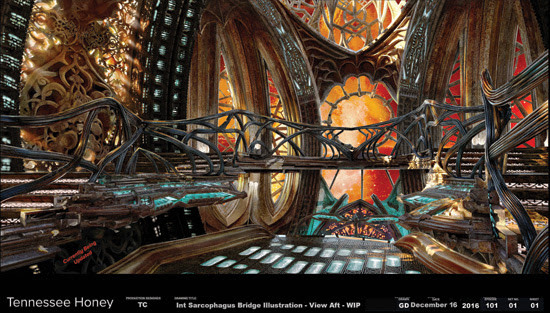 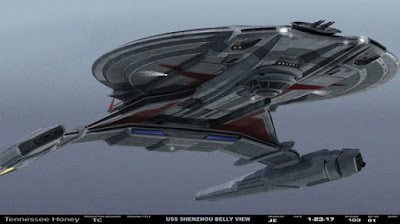 You can see many more views and details in the galleries of the sources of the images above at StarTrek.com, /Film, io9, TrekMovie (art, Klingon, Starfleet), and TrekCore (art, Klingon, Starfleet). CBS also has a nice gallery giving a broader overview of the exhibition.